The Panasonic AJ-HDC27H Varicam Camcorder has the capability to emulate film's gradual transfer function performance (i.e. CineGammaTM). This function greatly increases the camera's usable dynamic range, especially in traditionally limiting areas such as highlight handling, which until now was a serious limitation for most HD cameras. CineGamma provides the user with a much closer approximation of film's renowned ability to maintain smooth image tonality even when gently compressing extreme highlights. Cinematographers are able through the CineGamma feature to control the camera's gamma transfer function to best optimize control over tonality, from extreme highlights to the lowest of shadow areas. It is important to understand that only the camera section operates at variable frame rates. The VTR and the camera HD-SDI output operate at a constant 60-fps rate. If you set the camera for 60-fps with no shutter, the exposure time is 1/60th of a second and each camera frame is recorded once on tape. As soon as the frame rate becomes lower than 60, exposure time increases proportionally and redundant frames are recorded on tape. 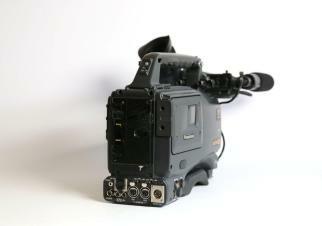 For example, if the camera operates at 30-fps, each new frame is recorded twice to ensure 60-fps on tape. 24-fps is a non-evenly-divisible frame rate and requires the classic 3:2 type pulldown frame sequence with one frame recorded three times and the next two times. As you see, this technique generates redundant frames used to pad the data to maintain a constant 60-fps on tape including both new frames and redundant (repeated) frames. 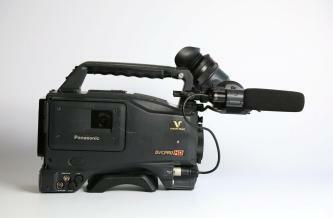 By keeping the VTR frame rate at 60-fps no new DVCPRO HD studio VTRs or specialized video monitors are necessary. 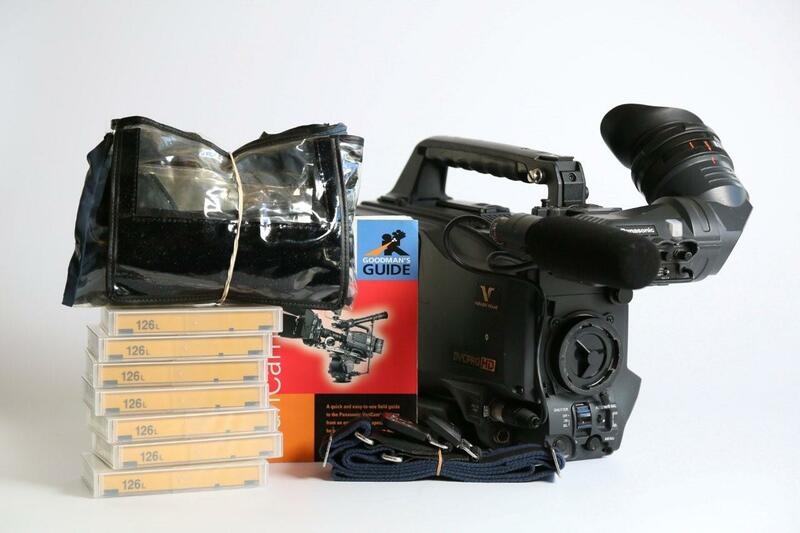 By recording standard 720p60, tape can be run through a standard linear tape based post production chain, yet still deliver "film look" video. 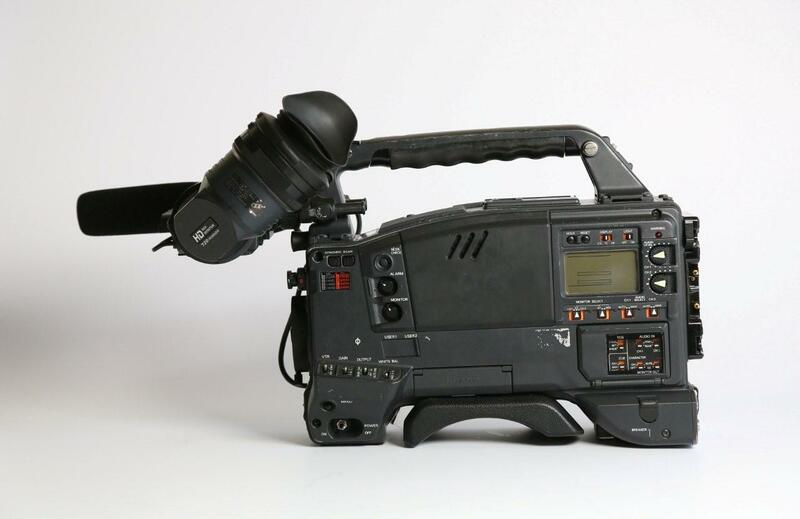 If a linear 24-fps post production process is required, material can be converted to D-5 HD 1080p 24-fps by the Panasonic AJ-UFC1800 or other 3rd party products. This process works by removing redundant frames. Various NLE systems now support editing with variable frame rates acquired with the AJ-HDC27.